Date opened: The line opened 15.9.1830 but Lea Green doesn't appear in company timetable until 1.3.1831. Notes: Lea Green was one of the original passenger stations of George Stephenson's 1830Liverpool and Manchester Railway the world's first railway to cater for passengers as one of its primary functions. It was also arguably the worlds first inter city railway. When the line first opened on the 15th September 1830 no details exist of the initial intermediate stops and Walkers accurate description of the line at the time of opening says that fares for intermediate stops had not been settled implying that initially there might not have been any stops. The station was renamed Sutton in 1844 reverting back to Lea Green in June 1848l. When the line first opened on the 15th September 1830 the intermediate stations on the double track line consisted of very basic cottages but due to the lines monumental success these facilities were upgraded over the years. Certainly by the end of the 19th Century Lea Green had been developed into a two platform station. Its platforms were partly staggered, the eastbound platform was partially under the road bridge and the westbound was on the west side of the bridge. 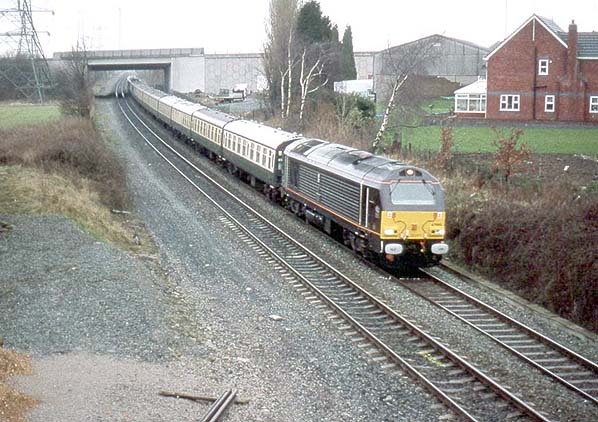 The 1830 Liverpool to Manchester line is still a busy railway but over the years many of its intermediate stations, including Lea Green have closed to passengers. Today the Station house remains in non-railway use surrounded by a scrapyard. The entrance ramp to the eastbound platform is largely intact, as part of a private garden. For the westbound platform, the approach road and staircase from the overbridge still exist, in use as track access point. 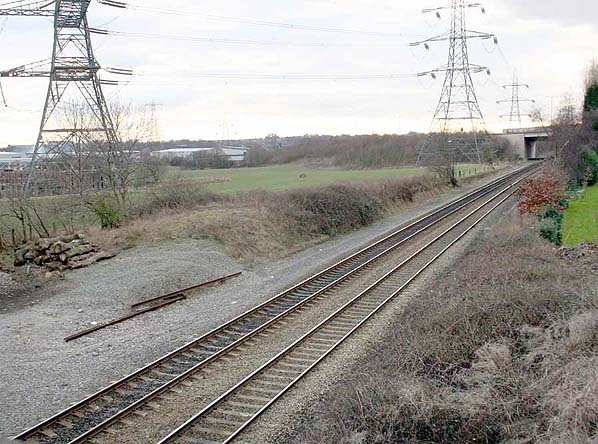 On the 17.9.2000 a new Lea Green Station was opened by Merseytravel to the east of the original station.